Section § 212(d)(3) of the Immigration and Nationality Act waives virtually all grounds of inadmissibility for non-immigrants including health, criminal, prostitution, smuggling, and unlawful presence. The only grounds of inadmissibility not waived are certain security-related grounds related to espionage, sabotage, genocide, and Nazi Persecution. § 212(d)(3) Waivers are filed either at the U.S. consulate with jurisdiction of your place of residence or at a U.S. port of entry. An applicant does not need to show a particularly compelling reason for visiting the United States. An ordinary reason (such as visiting a family member or conducting business) is sufficient. Non-immigrant waivers pursuant to INA § 212(d)(3) may only be issued for a maximum period of 5 years at a time. They are typically issued for 6 month or 1 year periods. Step 1. Meet Basic Visa Requirements . Before the consulate will consider any inadmissibility waiver issues, an applicant must establish that he or she is otherwise eligible for the particular visa being sought. Some non-immigrant visas, such as student or employment visas, require applicants to meet a long list of requirements. The consular officer will typically review applicant's visa application, make an initial finding of inadmissibility, and an applicant to return with the waiver application and supporting documents. Some consulates will accept the waiver application on the day of the interview. Step 2. Obtain Consular Recommendation for Waiver. 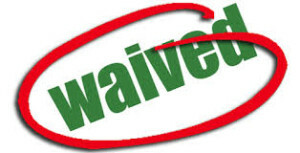 There is no special application form for the waiver and no application fee. It is strongly recommended, however, that the applicant bring to the interview a concise (1-2 page) cover letter requesting the waiver and highlighting the facts that support the favorable exercise of discretion, along with originals and photocopies of all relevant supporting documents. Applicants should also bring letters of support from members of the community that attest to the applicant’s ties to the country of residence and, for applicants with prior criminal convictions, to the person’s rehabilitation and good character. As noted above, consular officers may or may not look at supporting documents. It is therefore extremely important for the applicant to be prepared to explain the circumstances that led to the prior removal or to any other grounds of inadmissibility, and to discuss life changes (such as overcoming a drug addiction, establishing a new career, starting a family) that will persuade the consular officer that such circumstances will not occur again. Waivers are highly discretionary; therefore, more compelling reasons for a visit may be powerful factors in the applicant’s favor. Step 3: Adjudication by the Department of Homeland Security. This process is done electronically, via the Admissibility Review Information Service. The approval rate is very high. A denial by the ARO may be appealed to the Board of Immigration Appeals. Nonimmigrant waivers are specific to the visa category for which they were issued and therefore cannot be transferred from one nonimmigrant category to another. Someone who changes visa status from within the U.S. may remain and work in the U.S. as authorized by the change of status since the waiver relates to admissibility, but will not be able reenter the U.S. under the original waiver following a departure. Police certificate dated within 15 months of Form I-192 submission. (Canadians must obtain verification from the Royal Canadian Mounted Police (RCMP) by submitting your fingerprints on Form C216C. Information regarding current employment, marital status, community service etc., or any other information you wish to be considered and you believe strengthens your request. If you are inadmissible for one of the Health Related grounds identified in the INA, e.g., drug user or addict, provide evidence of treatment/rehabilitation. Such evidence shall include, but may not be limited to, the following: a recent drug test; credible, verifiable evidence related to rehabilitative history; statement from the applicant making clear his/her commitment to refrain from using controlled substances in the United States; credible, verifiable evidence outlining subject’s program for substitution therapy/treatment and/or continued care relative to his/her drug use/addiction if allowed to enter the United States. Interested in learning more about Waivers for Non-Immigrants? Contact Immigration Attorney Irina Vinogradsky today!